A solar eclipse on August 21 will sweep across the US over the course of a few hours allowing many communities across the nation to be a part of a significant astronomical event. Some communities will experience a total solar eclipse, which means they are in the Path of Totality, and many more of will experience a partial solar eclipse. Either way, community members will be interested in what is happening in the sky. 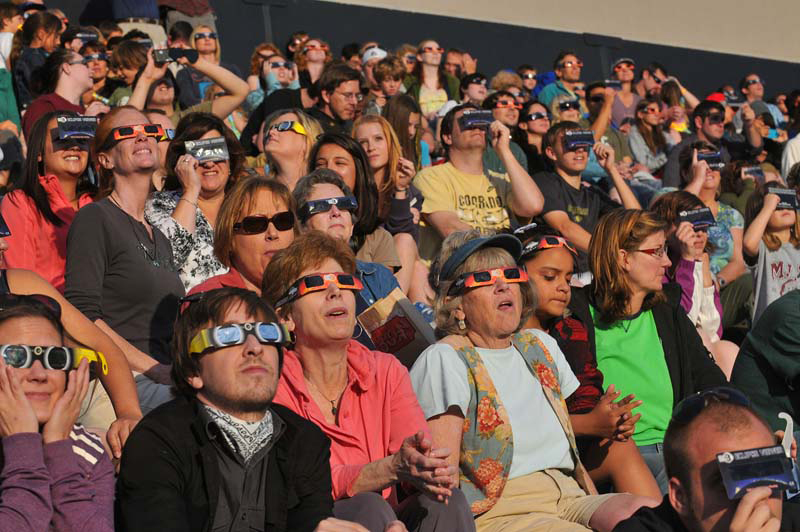 Help your community be prepared and ready by having hundreds of approved solar viewing glasses to hand out and be able to offer eclipse programming activities, materials, information, and other amazing resources! Star Net Libraries is a Space Science Institute (SSI) National Center for Interactive Learning program. SSI was awarded a grant from the Gordon and Betty Moore Foundation that will provide 1.26 million FREE eclipse glasses and other resources for 1,500 public libraries across the nation. The Research Corporation and Google will also be providing glasses and materials that add an additional 740,000 glasses, bringing the total to over 2 million glasses that will be distributed to more than 2,400 libraries! These libraries will serve as centers for eclipse education and viewing for their communities. The Space Science Institute (SSI) in Boulder, CO, through its National Center for Interactive Learning, provides STEM exhibits, programming, and training to hundreds of public libraries nationwide through STAR_Net and its NASA@ My Library project. Partners include the American Library Association, Lunar and Planetary Institute, the Afterschool Alliance, Cornerstones of Science, and many others. See http://www.STARnetlibraries.org for details.